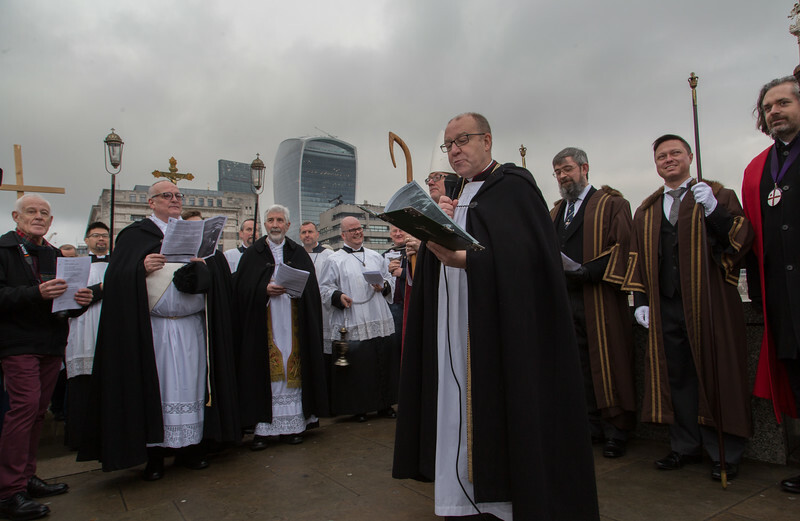 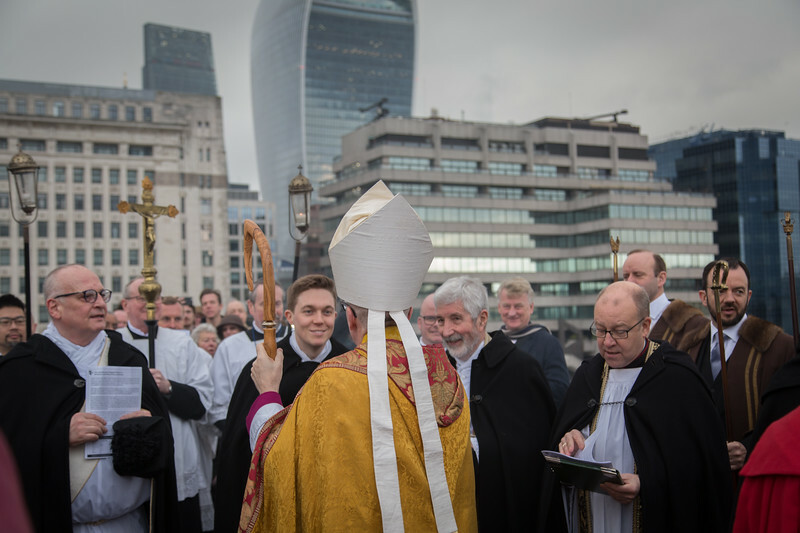 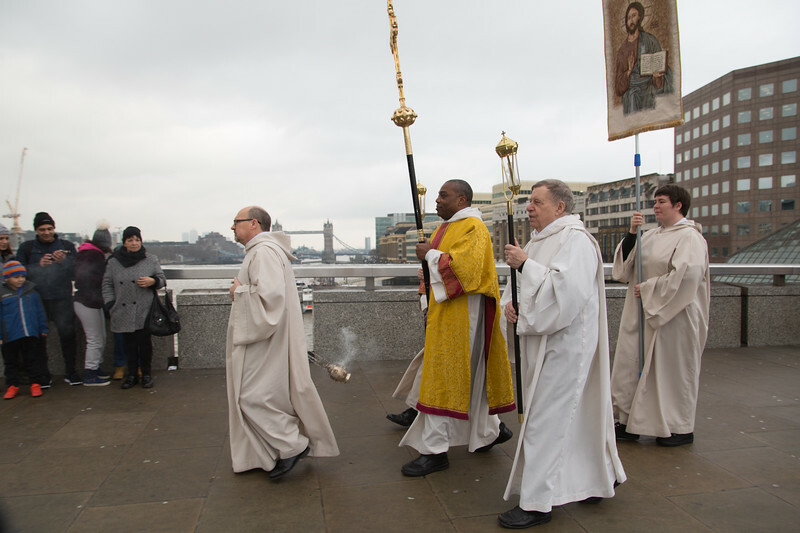 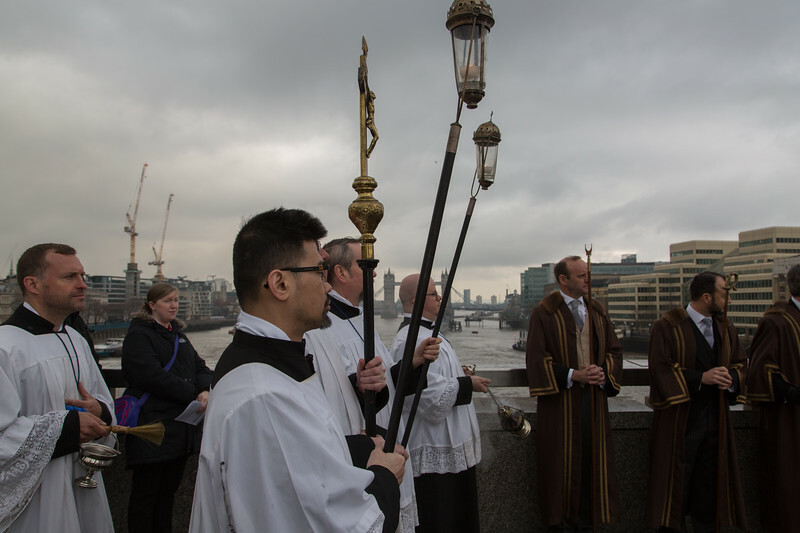 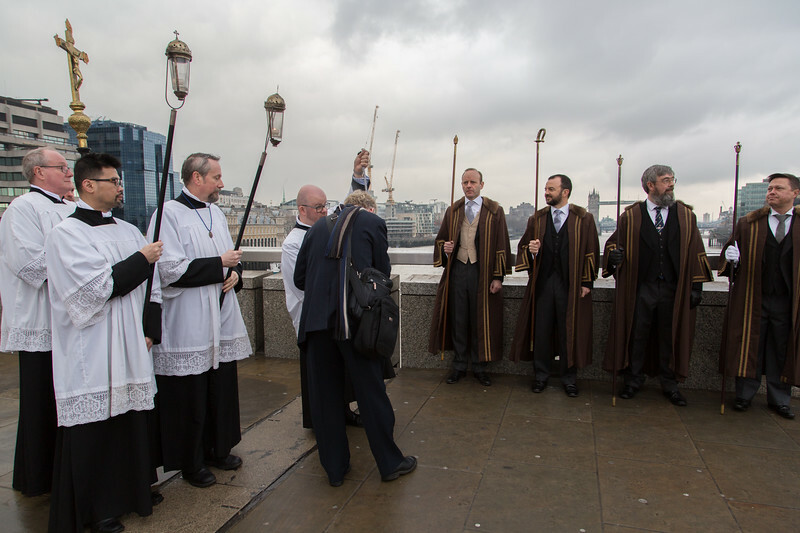 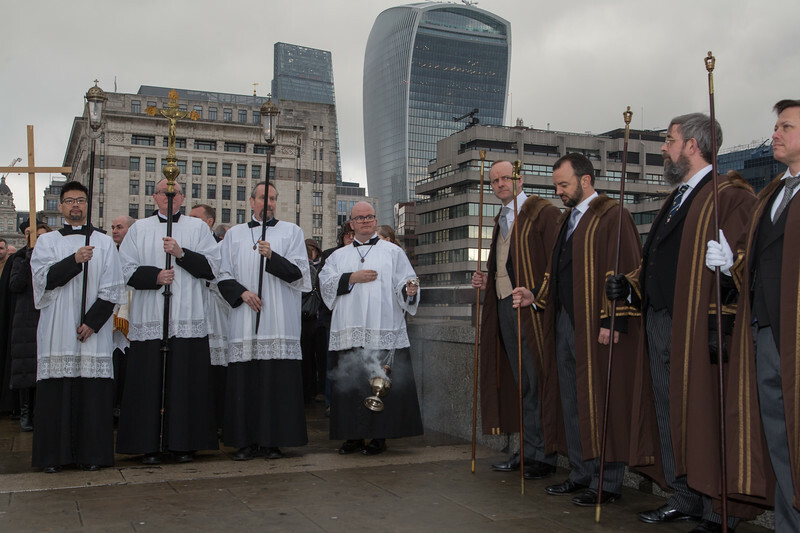 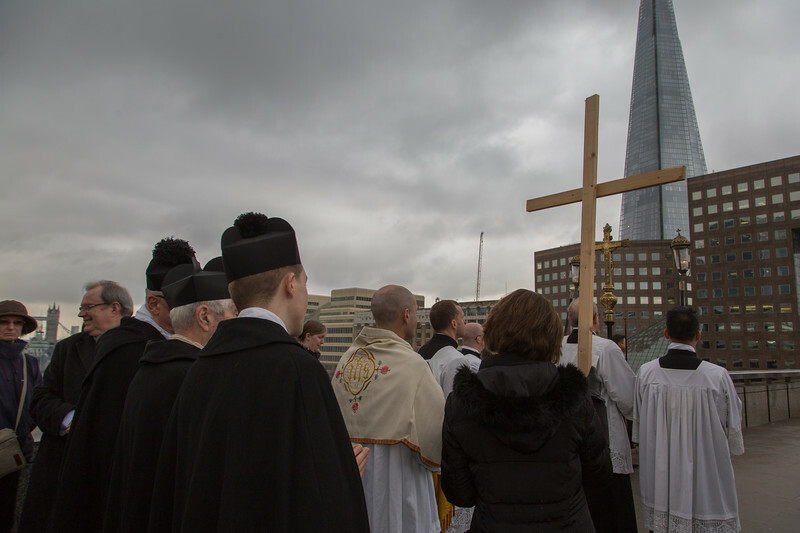 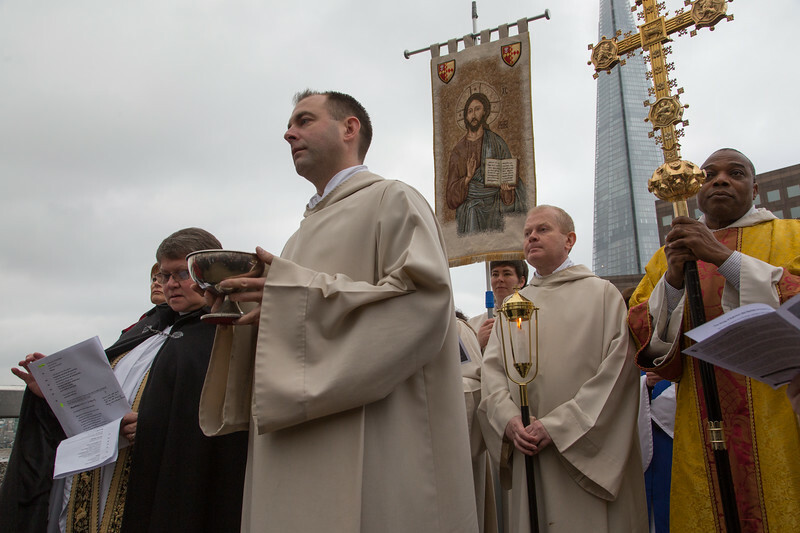 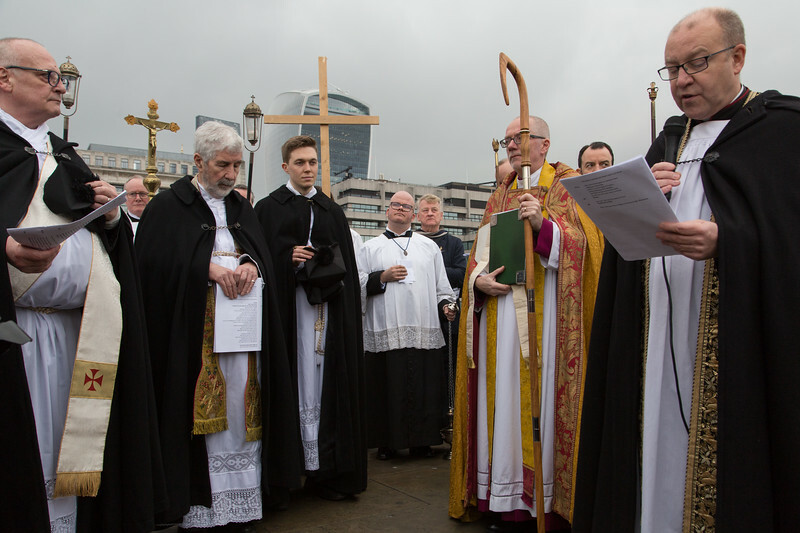 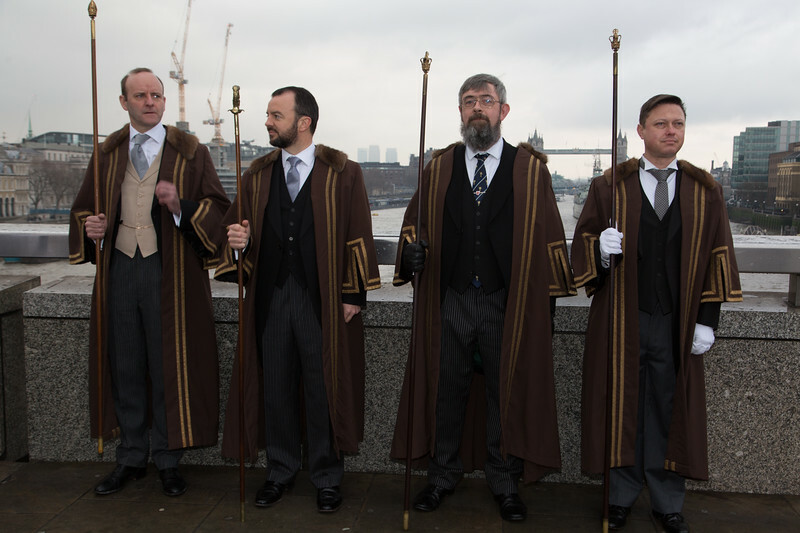 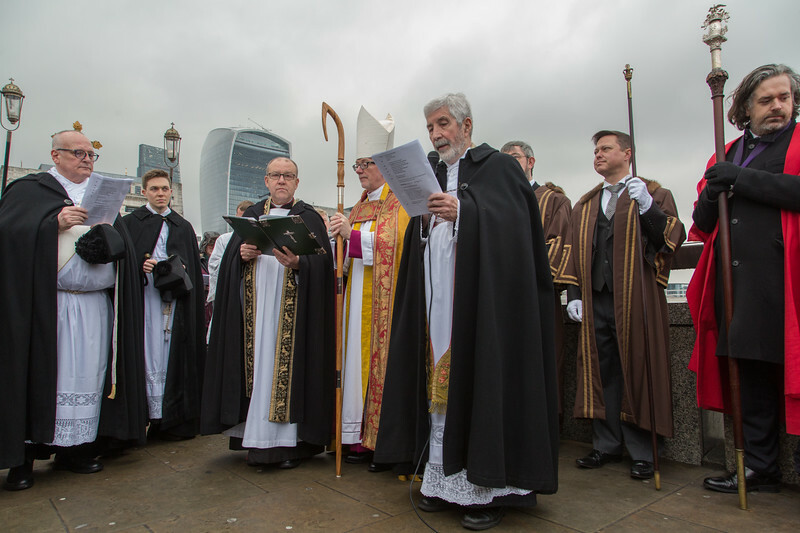 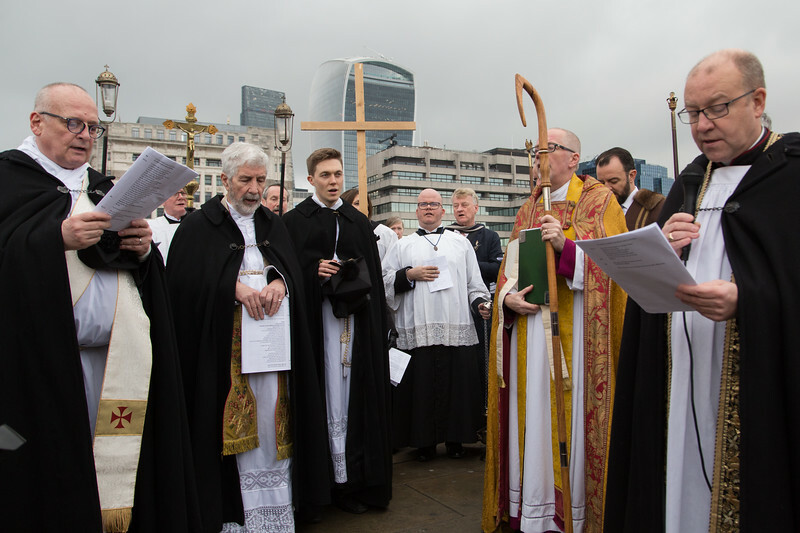 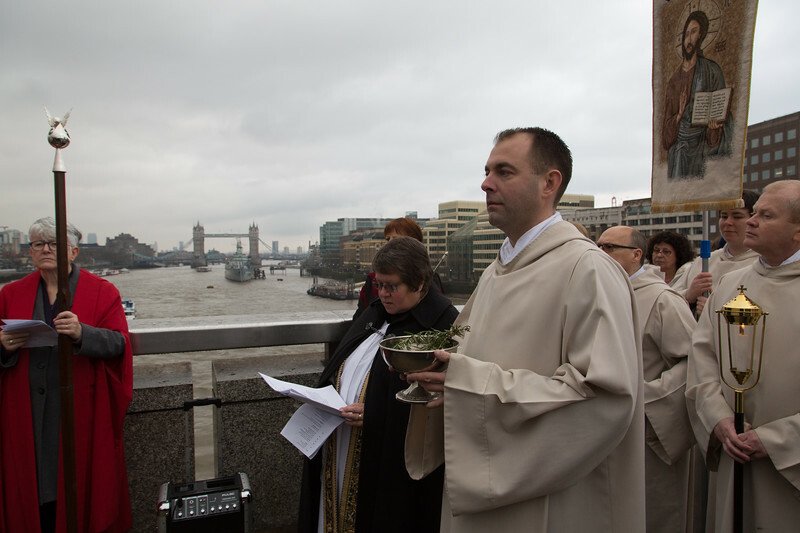 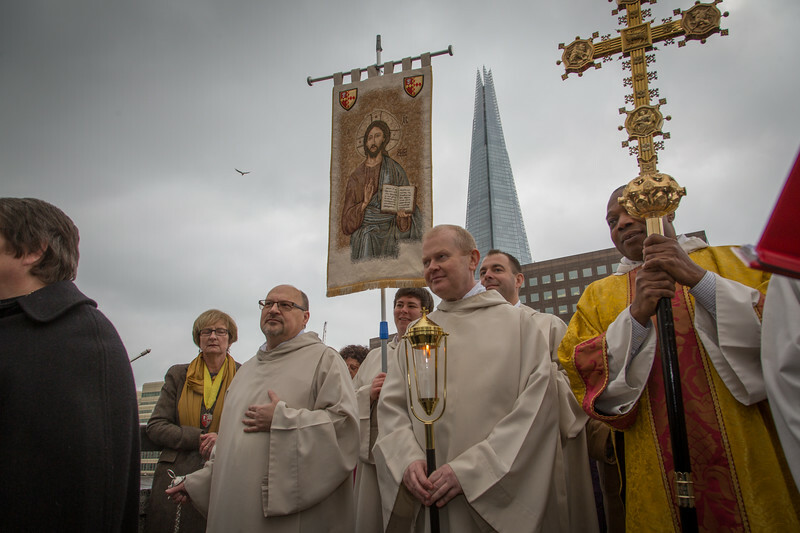 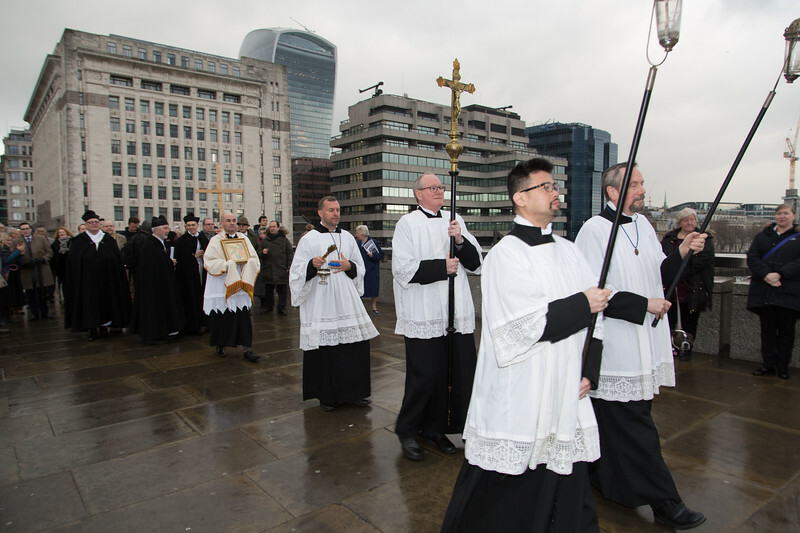 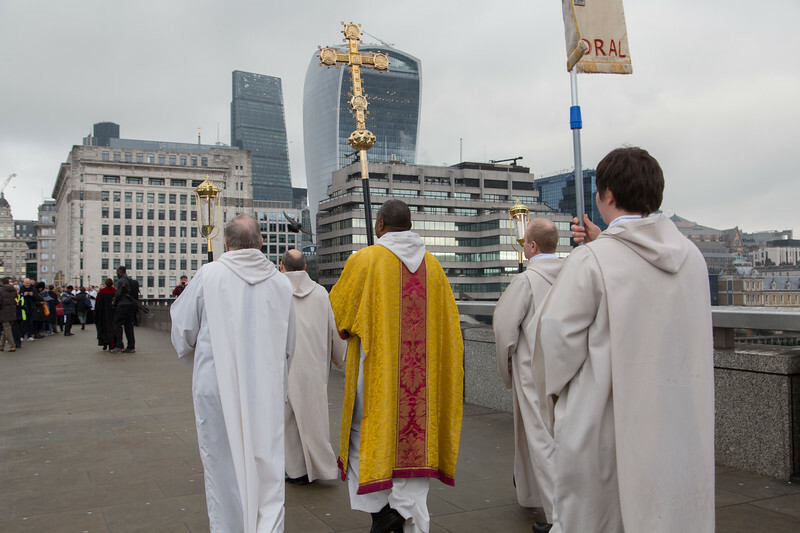 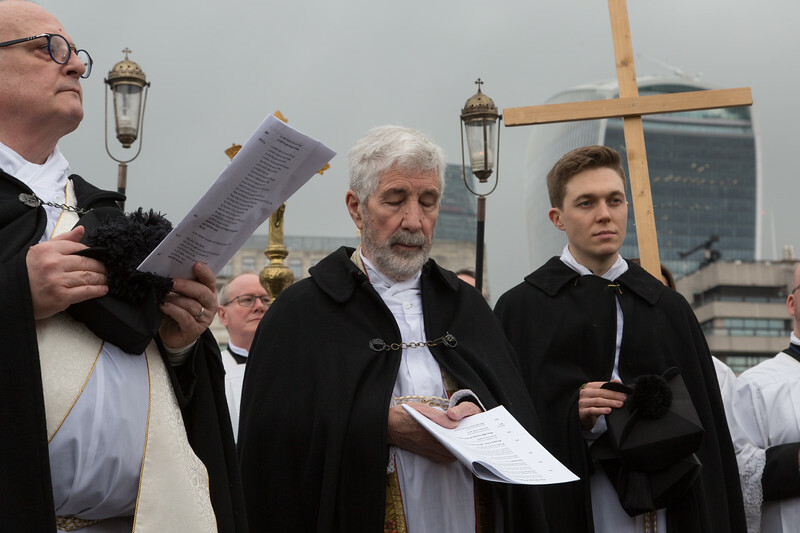 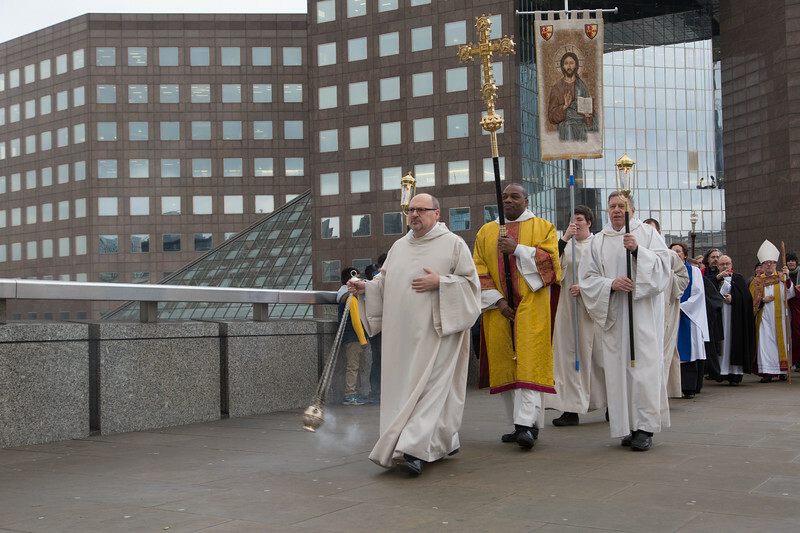 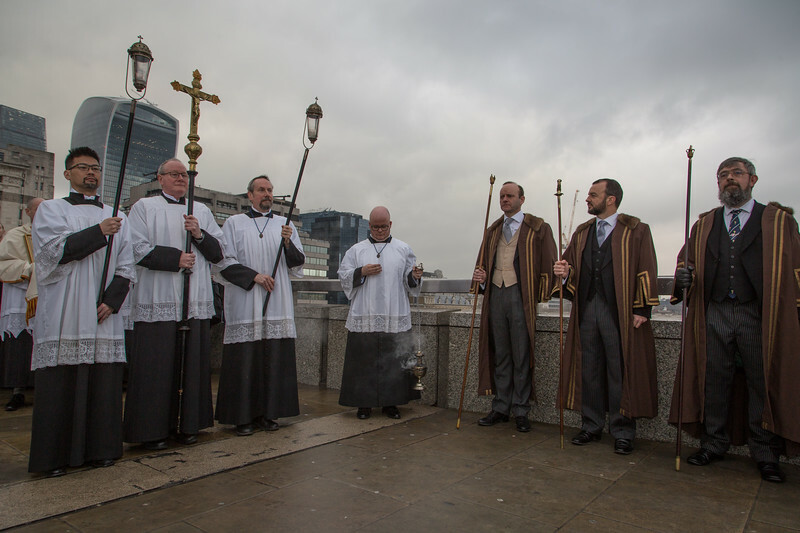 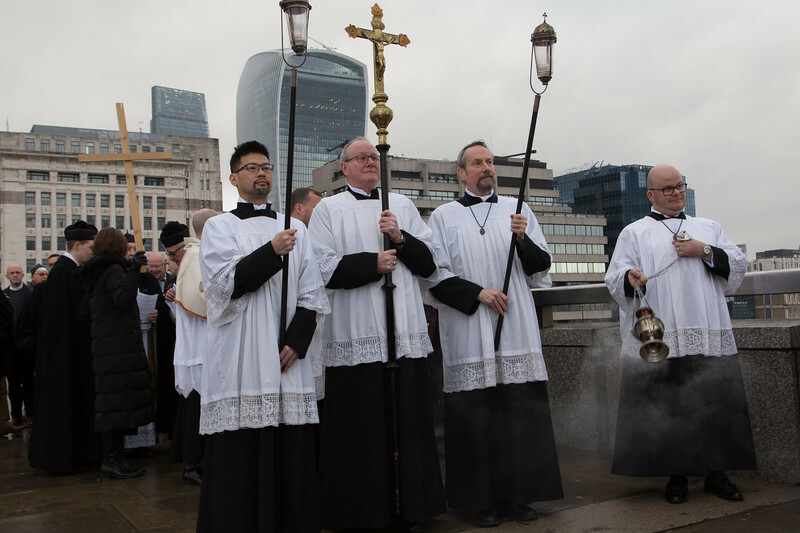 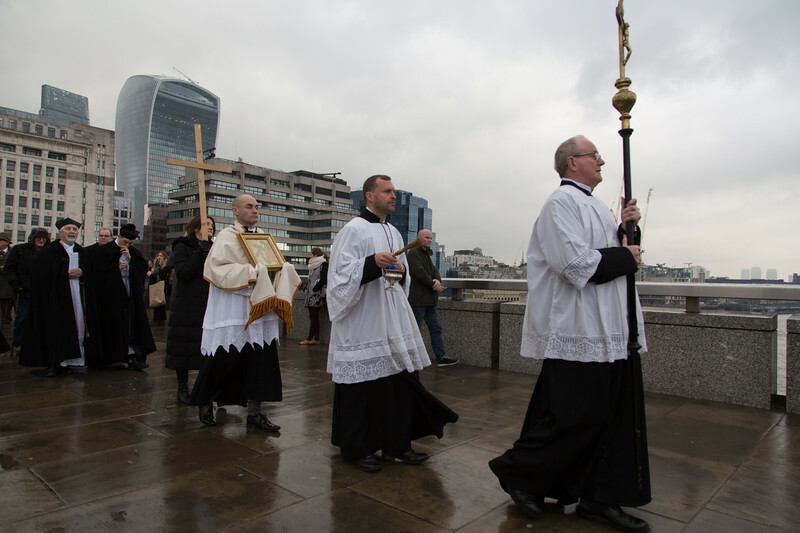 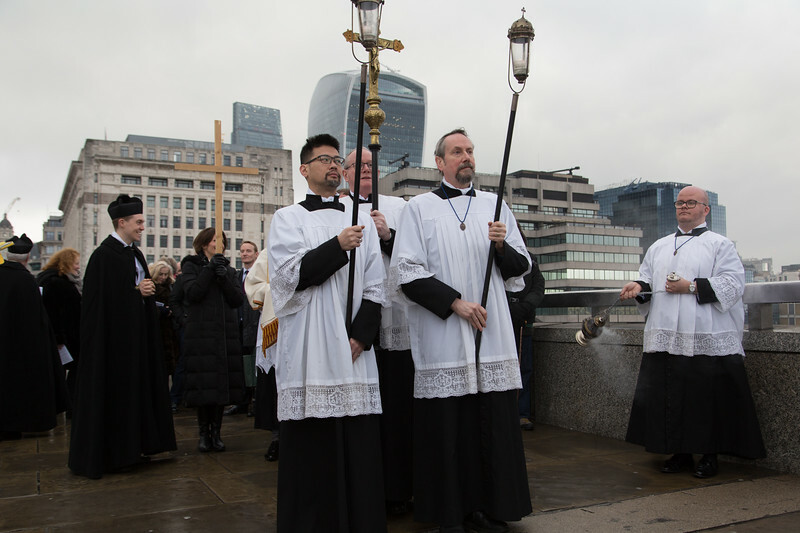 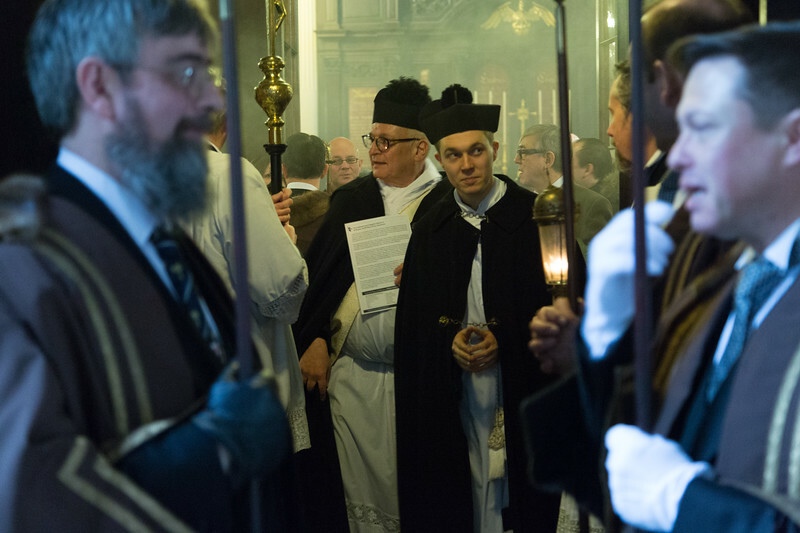 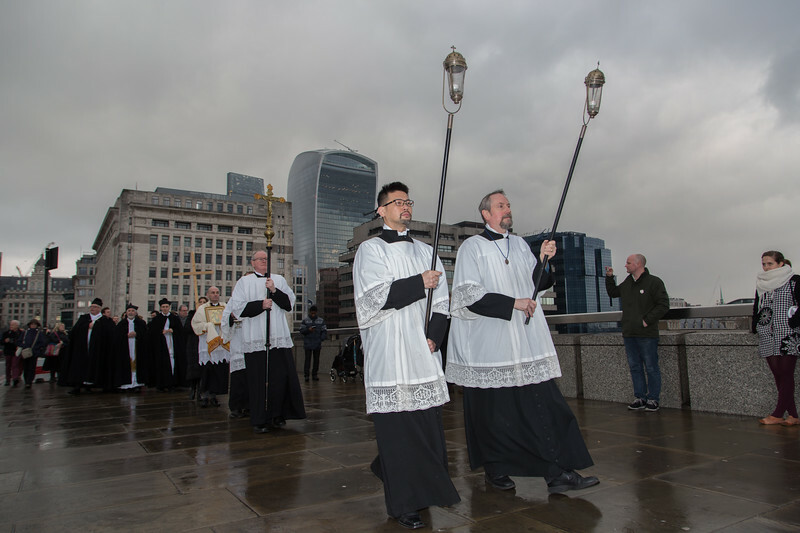 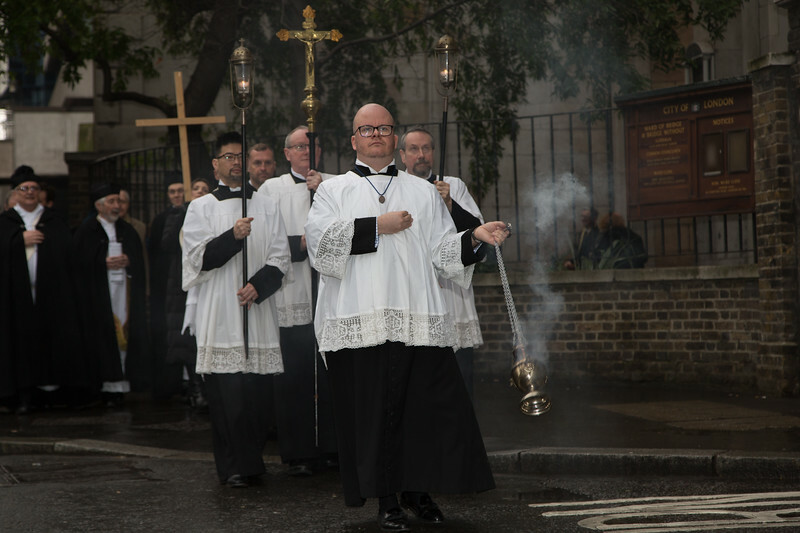 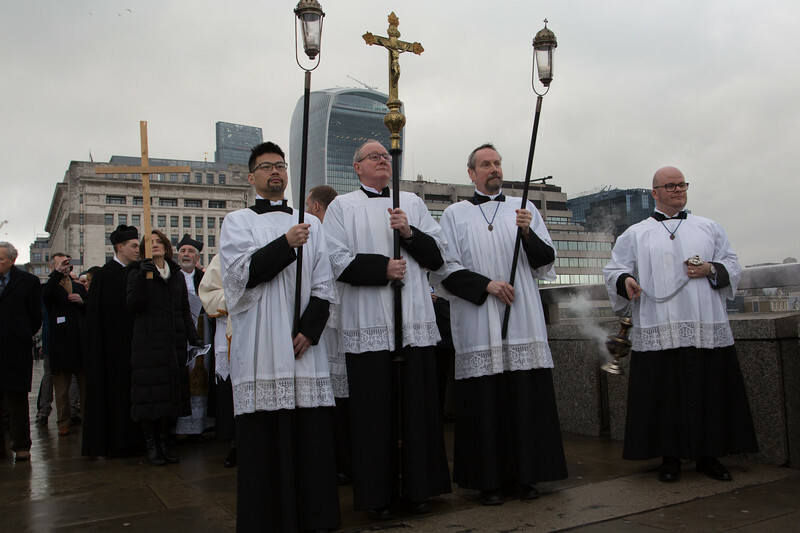 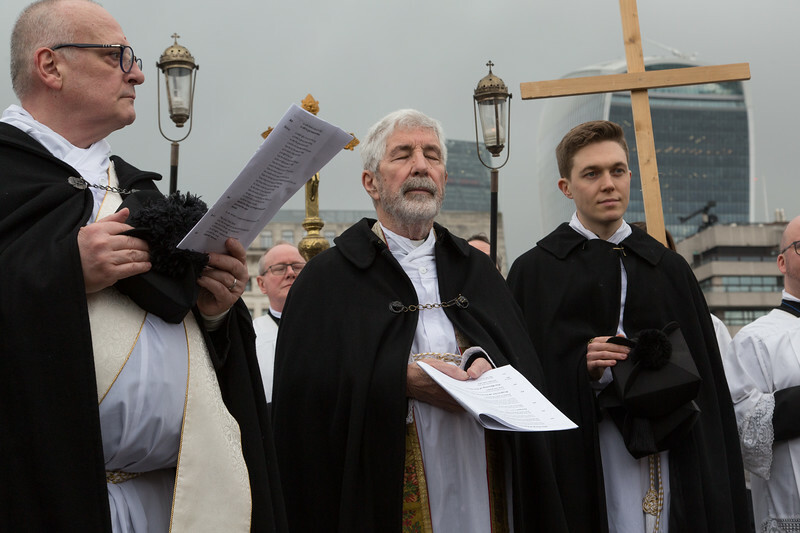 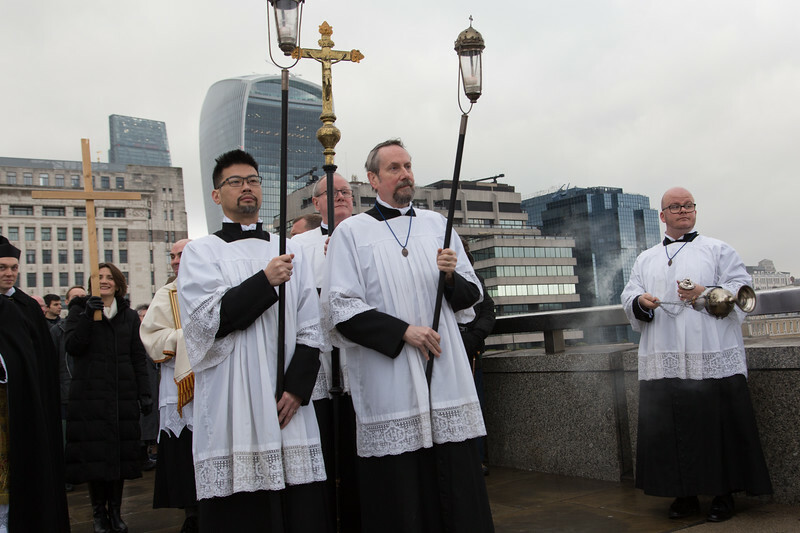 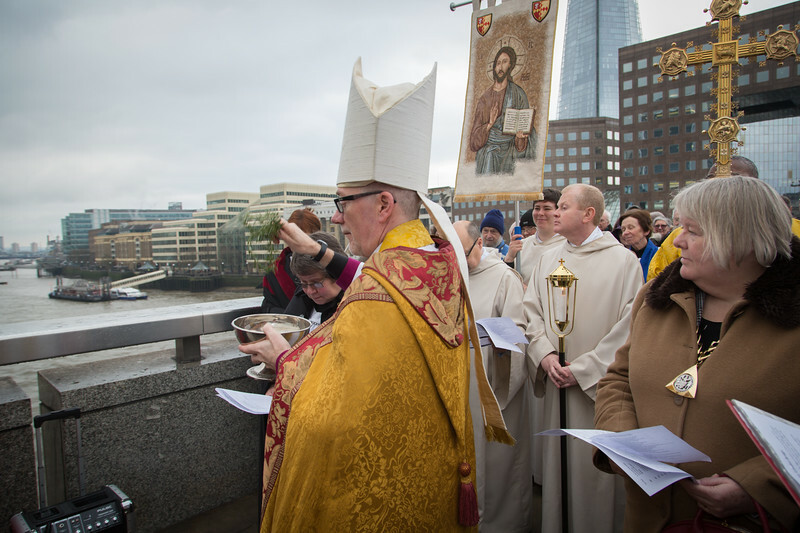 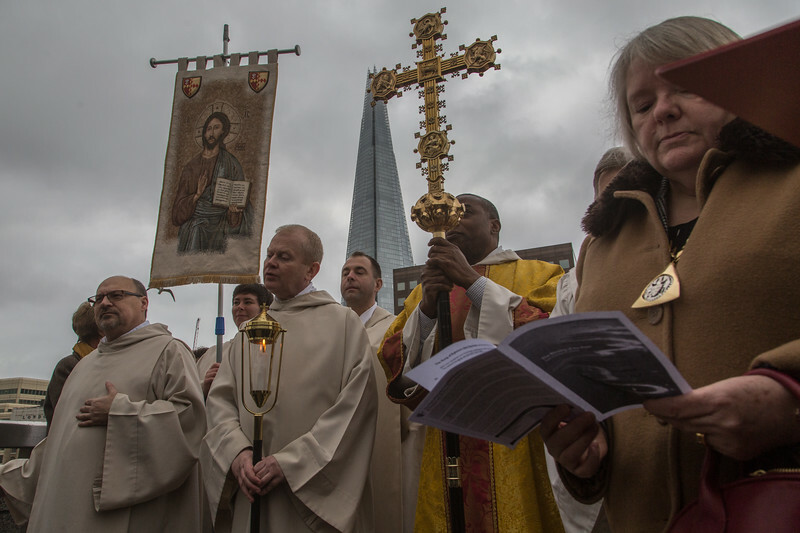 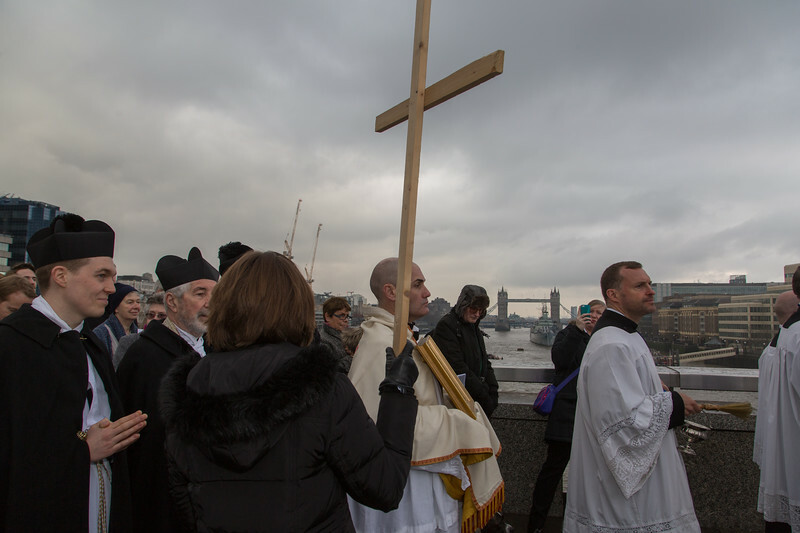 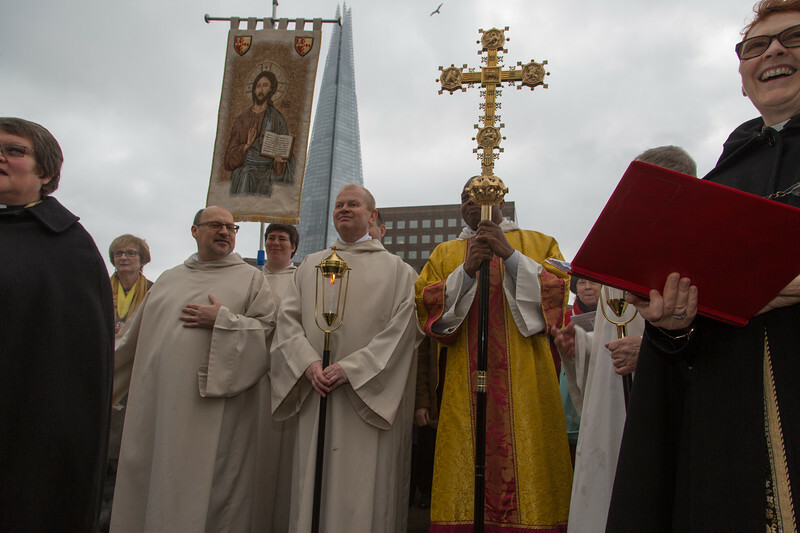 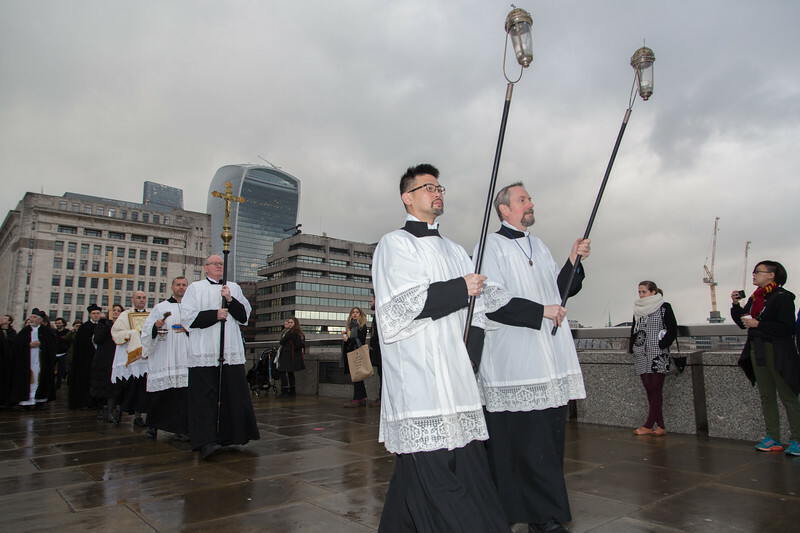 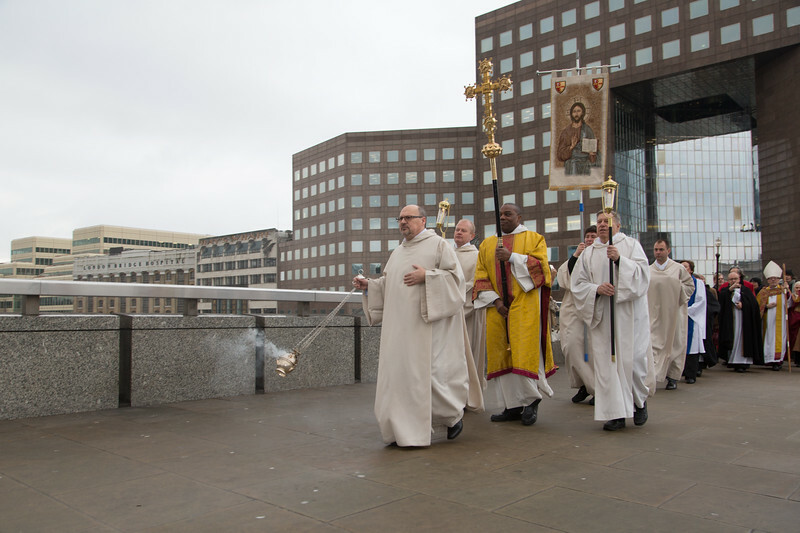 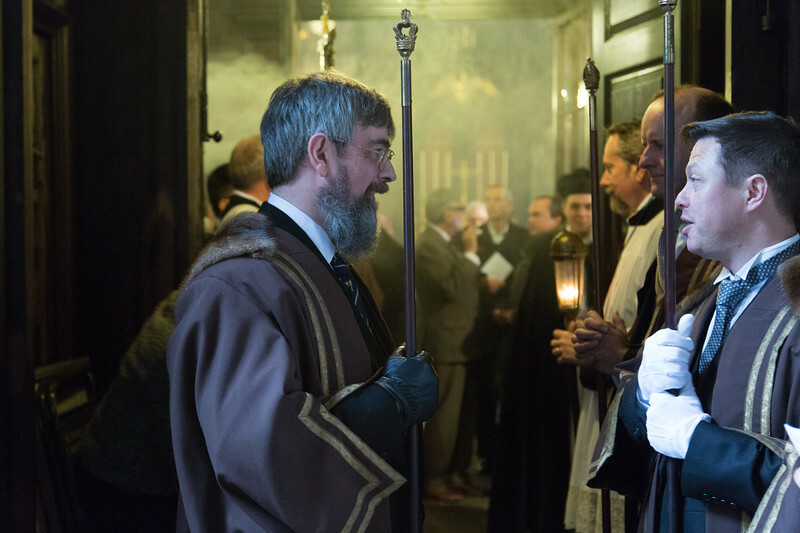 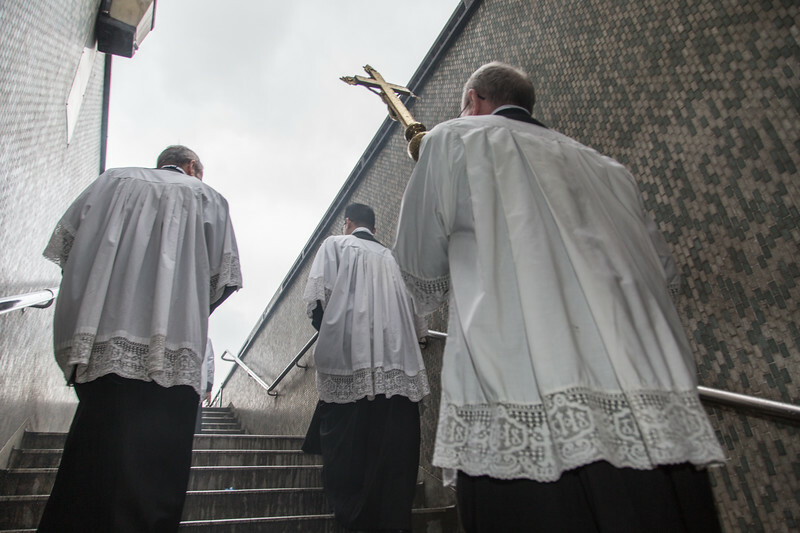 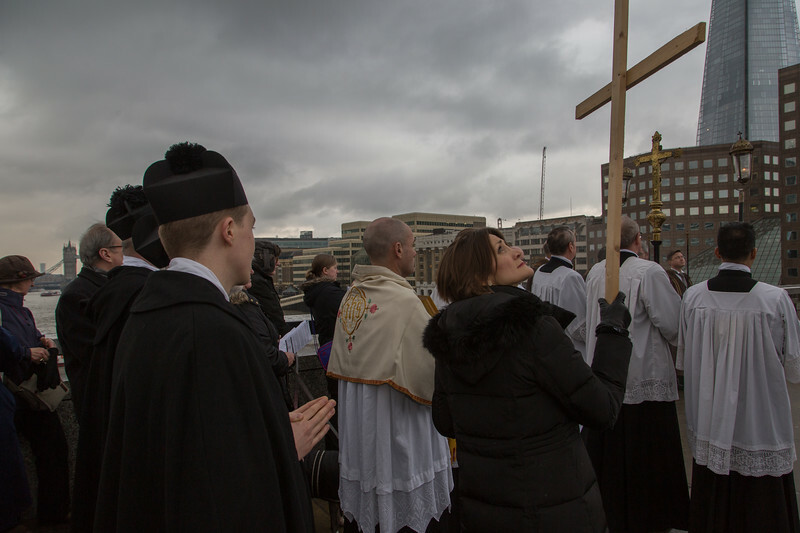 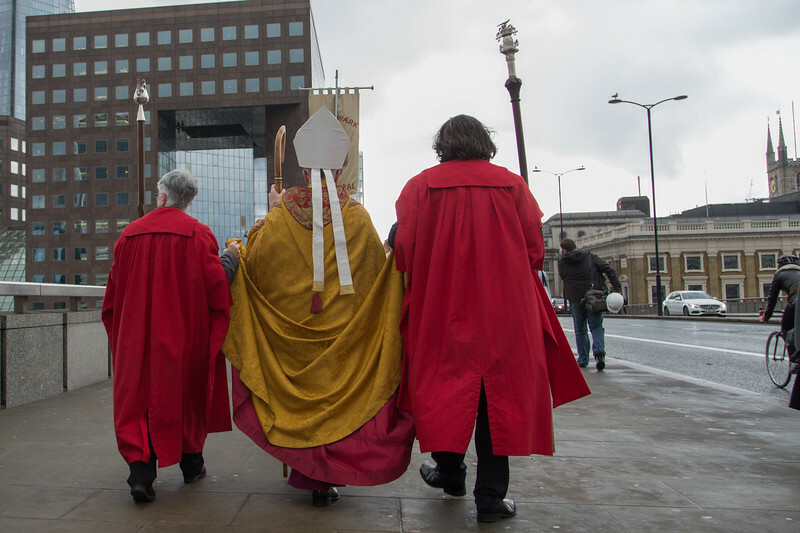 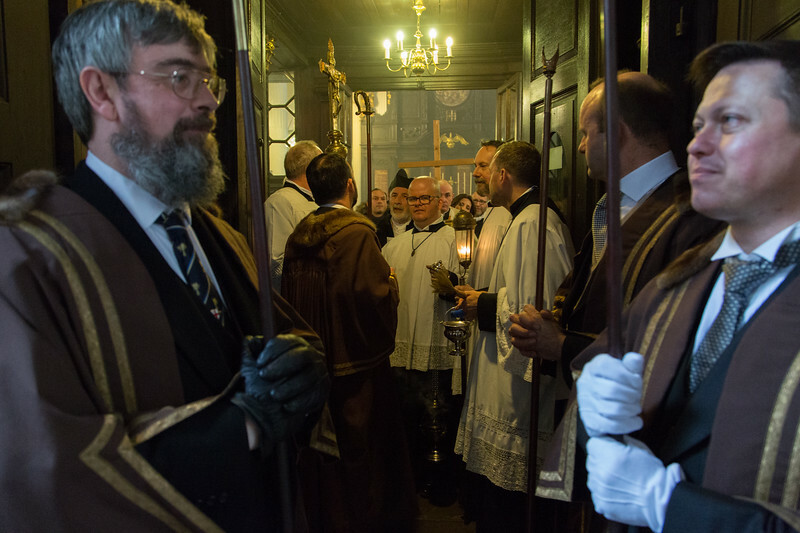 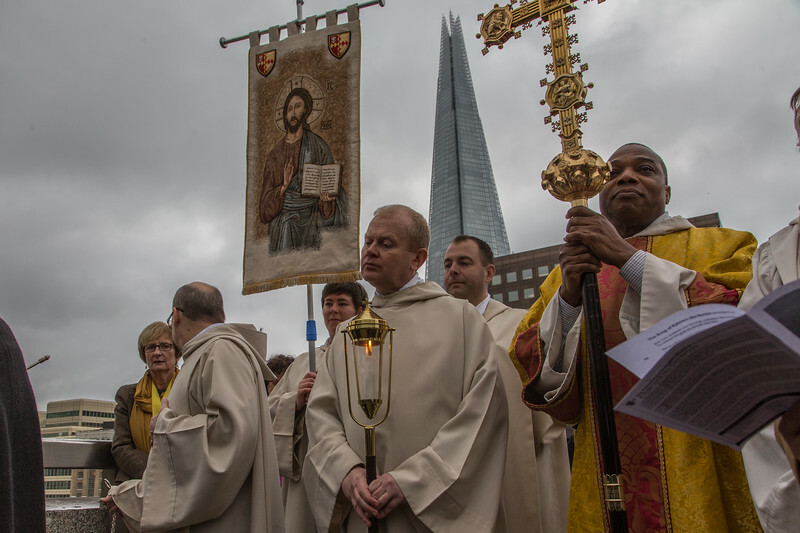 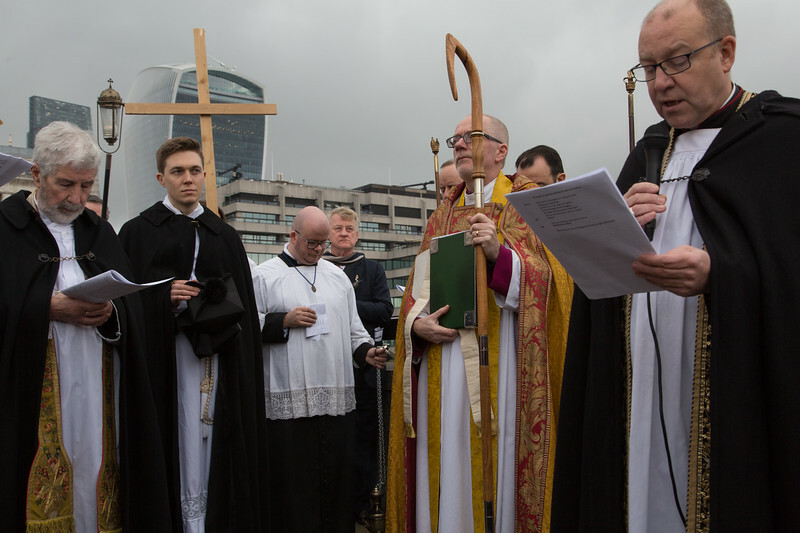 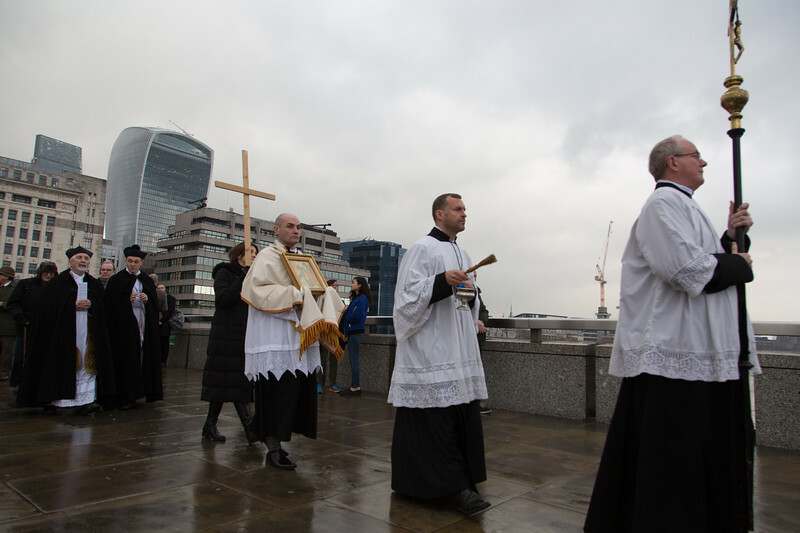 The Bishop of Croydon Jonathan Dunnett Clark attends the annual Blessing of the River Thames and those who use it in the centre of London Bridge, with clergy and congregations from St Magnus the Martyr in the City and Southwark Cathedral on the south bank. 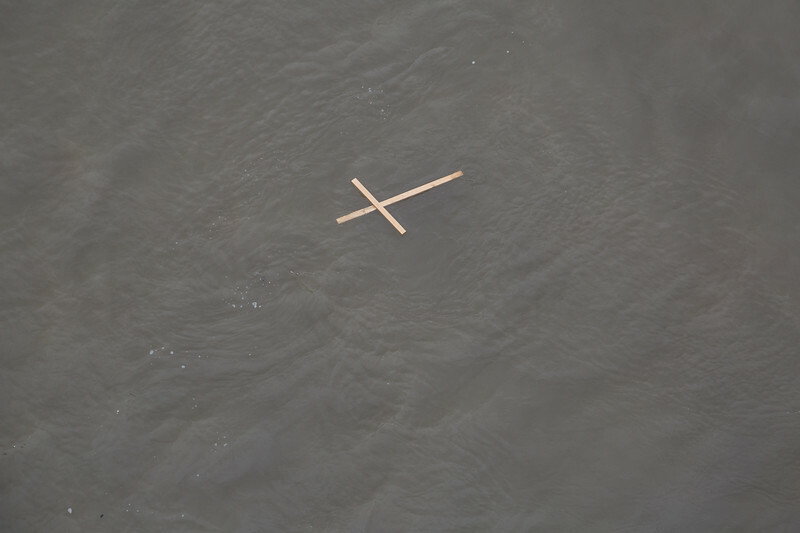 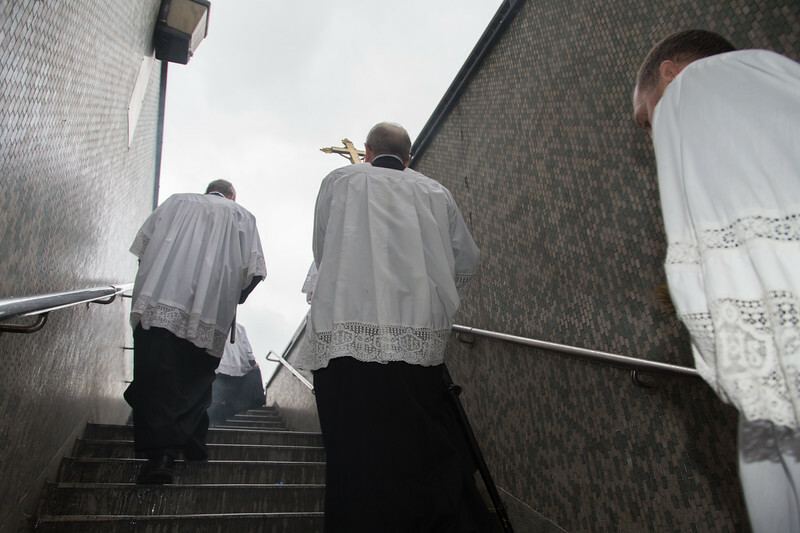 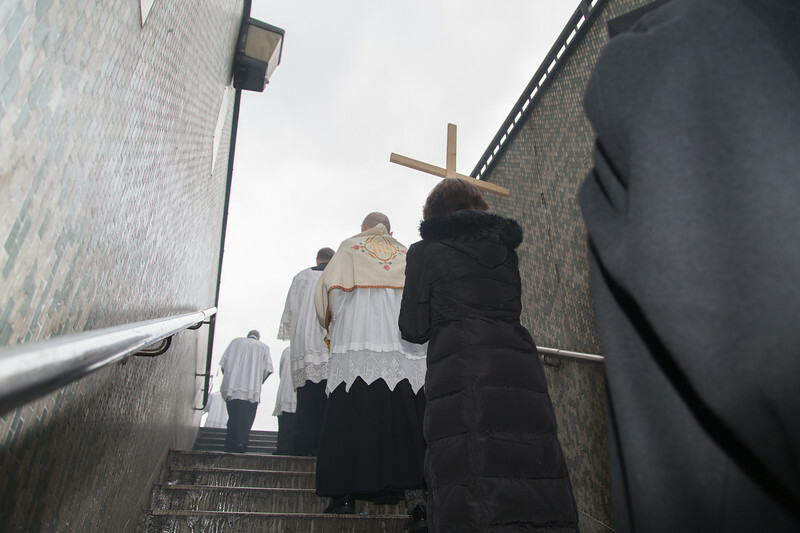 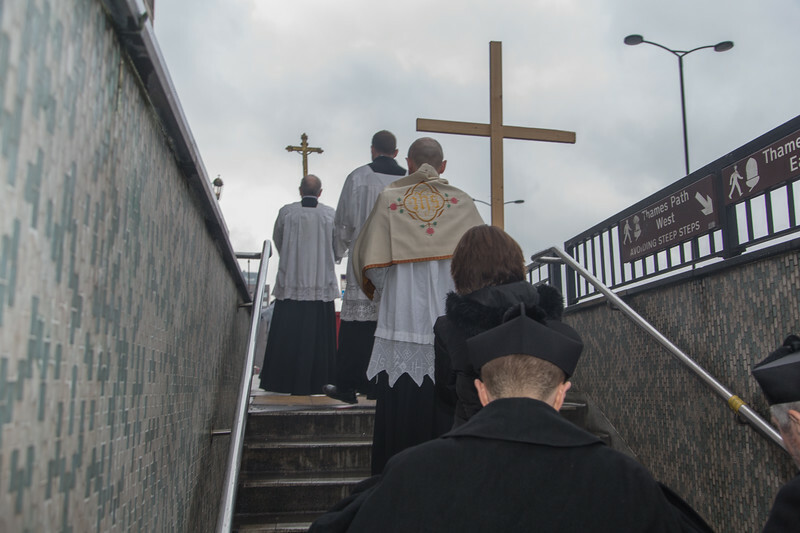 After a service a plain wooden cross is thrown off the bridge into the river. 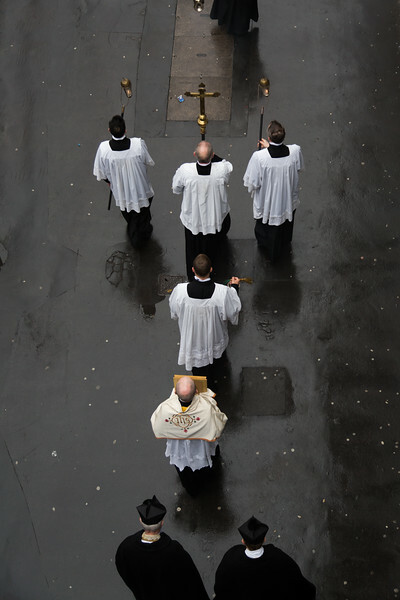 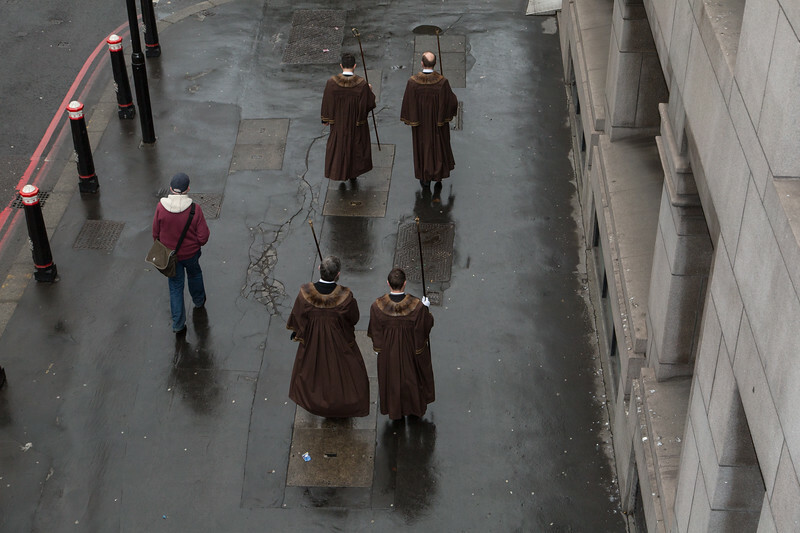 This is a new tradition, established only a few years ago.